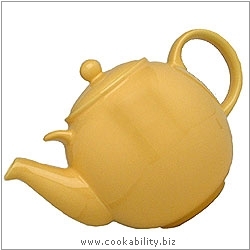 Stoneware teapot. Great Pourer. Only the large 10 Cup version has the small helper handle above the spout.